Colonial history and succulent seafood, powdery sand beaches and cool ocean breezes, discover where America began. 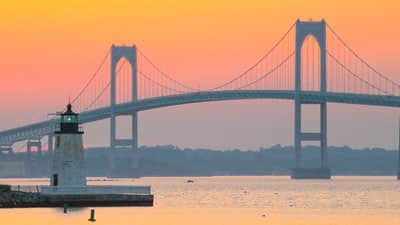 In New England, take a stroll through colonial history at Plymouth Rock where the pilgrims came ashore and the minutemen fought for American Independence. Hike the majestic mountains of the Appalachian Trail, with over 2000 miles of gorgeous forest trails that stretch from Georgia to Maine across 14 states, 5 of which are located in New England. Walk the Freedom Trail and trace the history of the American Revolution in Boston, or pick your own apples and pumpkins at farms throughout New England during harvest season. Cruise the pretty coastal towns and villages of Maine, nestled along the entrance of Acadia National Park and its miles of coastline and spectacular summits. Go hiking, camping, kayaking or swimming in Bar Harbour located on Mount Desert Island. Explore the old 19th century mansions and hotels in tiny fishing towns, try famous New England clam chowder, or walk along the soft sandy beaches below Mount Cadillac. 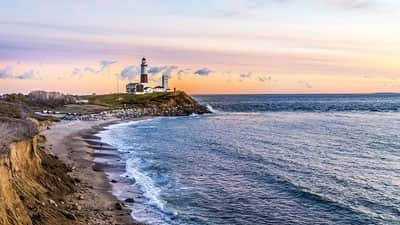 Get a taste for maritime flavour in Long Island, with it’s sandy beaches and upscale estates in the Hamptons, Montauk Point Lighthouse and of course, the infamous New York Harbour. In Mid-September to October watch the leaves change to blazing shades of red, orange and yellow.